Which church would you want to attend? One whose Worship Service tells you when to stand, sit, or kneel, when to sing, pray, be silent, or listen, when to financially give generously or greet one another cordially. You can volunteer to be an usher, children’s worker, or nursery attender, or you can just show up, follow directions, and leave having no social contact but entertained. The music will be excellent. The sermon delivery will be professional; all done orderly. Bible quotes and lyrics to songs will be projected. Not much is required of you, nor is much expected from you. The Senior pastor and staff will do everything in a professional manner. 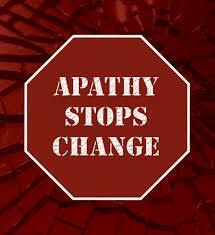 An enabled apathy will settle over the congregation as everyone knows their place and expectations. One that will only be a hymn or chorus sing followed by a sermon unless the congregation comes prepared to give. If prepared, one may share a scripture that came alive during their private devotion; another may sing an original song or a song everyone knows and joins in. A poet may read an original poem; an artist may draw or paint. Peer believers in Jesus may be led to pray, offer healing, comfort or encourage one another. Some may release spiritual gifts to edify the body of Christ, while others may release giftings to aid in their peer believers’ spiritual growth. A formal sermon is not necessary because sharing of scripture and its application may be given by believers or the sharing of narratives of how Jesus came alive in people’s lives may be shared. Invitations for salvation, empowerment, healings, may be given by fellow brethren . There is no formal agenda, only individuals and the body of Christ jointly listening to the Holy Spirit’s lead. The service in unpredictable, but the anticipation high that God’s Spirit is among his people, and Jesus will be manifested through them. The leadership is not on a platform, but among the people, not seen, but arises for encouragement, support, edification, and correction when needed. This service is not passive, but active, only if the congregation has decided to participate and give back to the Lord what He has already given them. If the people are apathetic, a hymn sing or choral response of songs and a planned, prepared sermon is given. If the people are active, a theme, a sewn thread in the tapestry of worship will relay the Holy’s Spirit’s theme. The first choice is today’s typical Sunday service in most churches; the second is what would happen if the church empowered and released their people as peers to minister to the Lord and to one another. The first service is very predictable. The second is unpredictable because the Holy Spirit is in charge; leadership and their peers, the people, follow only what the Holy Spirit leads. The first choice appears to be dead and dry; the second choice appears to be full of life. The first choice requires nothing from you but your finances; the second choice requires your all: body, soul, and spirit. Finances are not needed unless the Spirit calls for them to meet the needs of the body, the poor, and the widows and orphans. Two drastically different choices! An orlderly caterpillar structure that lumbers along, or an unpredictable butterfly structure that flies. The church today needs a cocoon stage for transition!